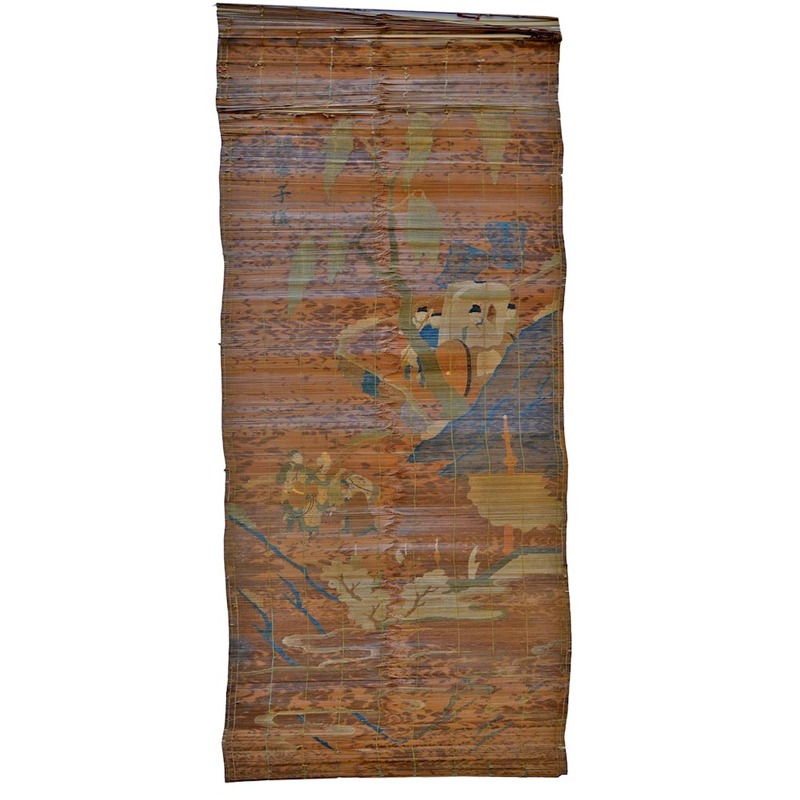 This set of six antique bamboo screens were stitched with silk threads that are thinner than human hair in the woven Kesi textile style over the finely split bamboo sticks that are made of special type of bamboo called “Xiang-Fe-Zhu ” with beautiful varying natural dark spots like tears on the bamboo itself (which gives its bamboo name). 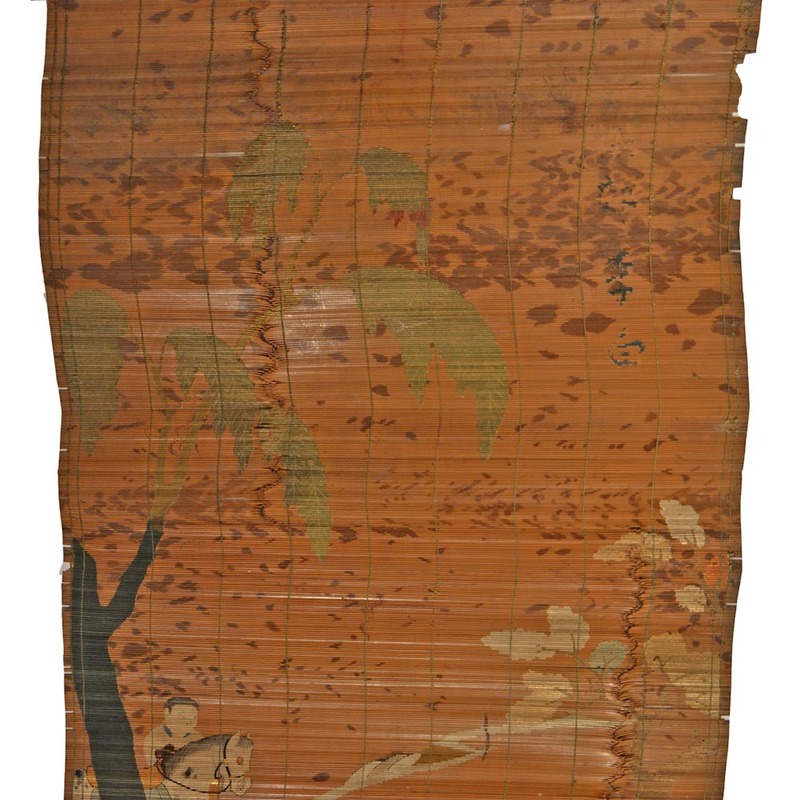 Although Chinese have long been using bamboo to carved or to write words as a way to record events, such screens are rarely seen with the beautiful natural old patina from the aged bamboo surface as the back drop showing the beautiful colors used on the stitched or wrapped silk threads dyed with natural organic color pigments made from ground minerals and vegetation. Gold foils were applied to some areas. 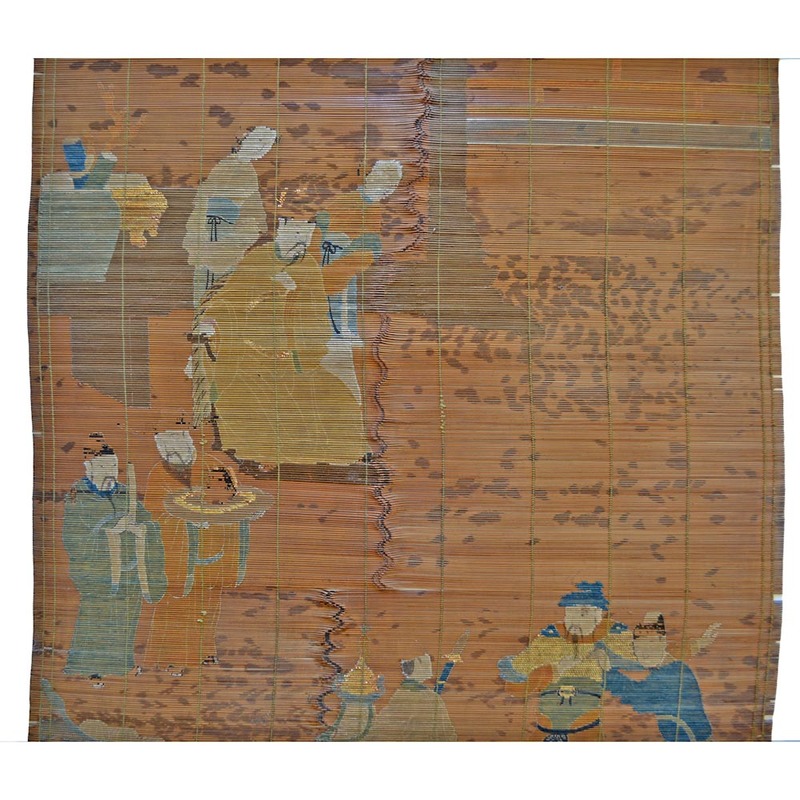 Four of the stitched (woven) pictures or images on the screens depict different historical events or stories. 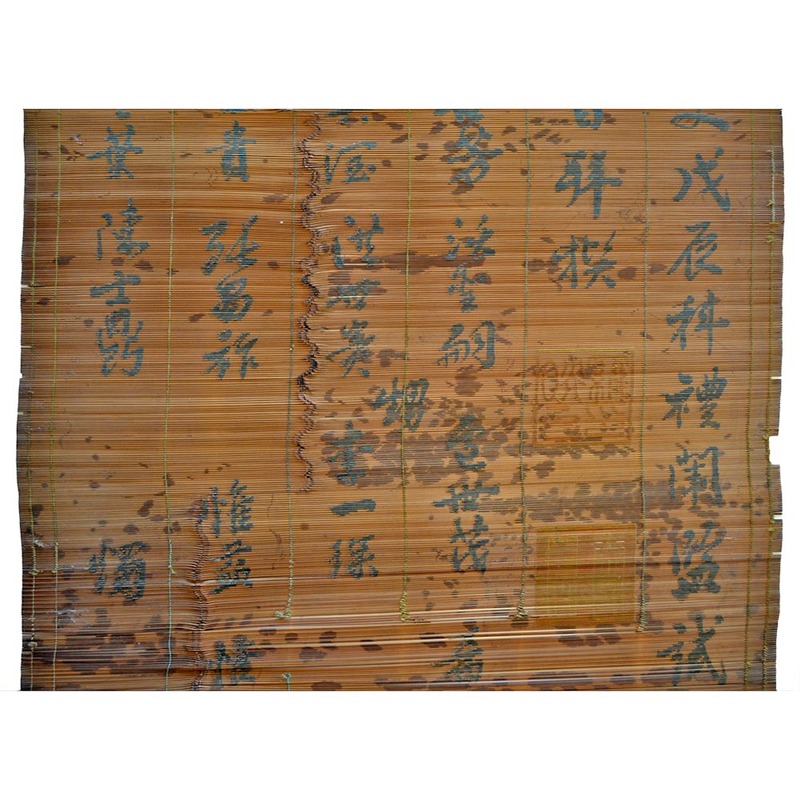 Two of the screens were stitched with calligraphy names only and one of them also has a stitched seal showing the reign mark of the Qiang-Long. 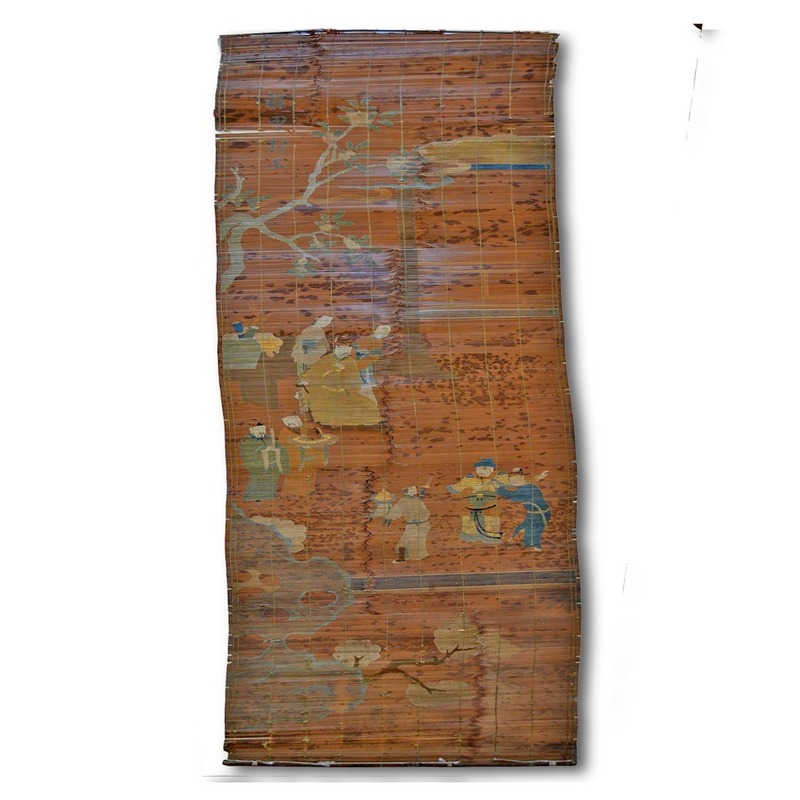 This incredibly rare and fine art work should be preserved and restored. Shown in photos are two screens out of a set of six.